A demonstrator waves the flag of the Former Yugoslav Republic of Macedonia during a protest against the Prespes agreement in front of the country’s Parliament during a debate on constitutional amendments, on January 10. 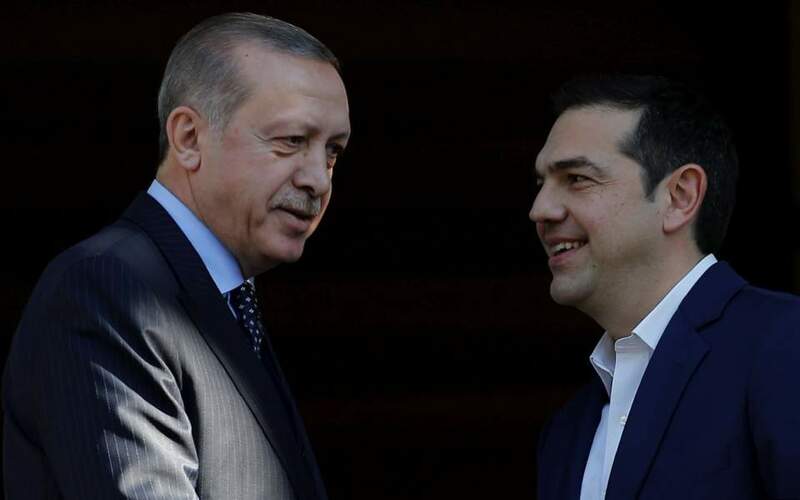 The name deal signed between Greece and the Former Yugoslav Republic of Macedonia (FYROM) in June stipulates that Athens will launch the process to ratify the agreement only after Skopje has completed its part of the process. 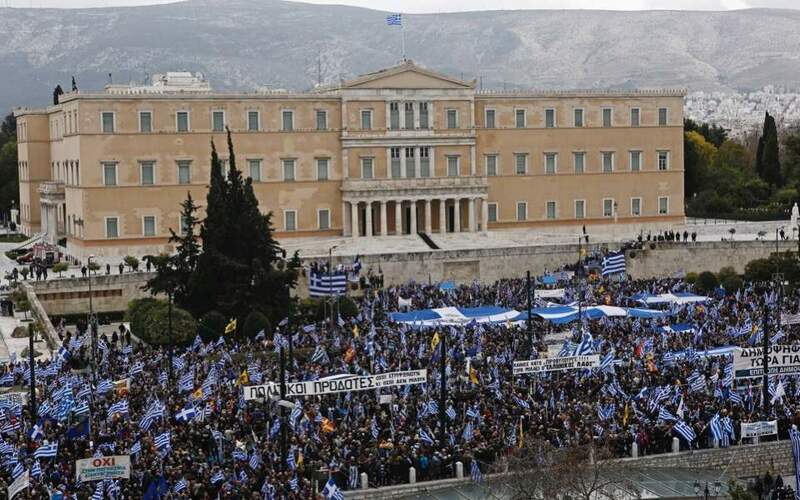 Skopje must first notify Athens that its lawmakers have endorsed the deal (Article 1.4.b). “Upon notification by the Second Party [FYROM] of the completion of the abovementioned constitutional amendments and all of its internal legal procedures for the entry into force of this Agreement, the First Party [Greece] shall promptly ratify this Agreement” (Article 1.4.f). In other words, there are four steps to be taken: a) ratification of the Prespes accord; b) completion of the constitutional amendments; c) completion of all the internal legal procedures needed to enforce the deal; and d) notifying Greece. Completing “all… internal legal procedures for the entry into force” of the agreement is a distinct stage in the process. It refers to actions that need to be carried out following the ratification of the deal and the adoption of constitutional amendments. Otherwise, the text of the agreement would just refer to the ratification of the deal and the endorsement of the constitutional amendments. But what are these internal legal procedures? According to the norms of parliamentary democracies but also the stipulations made in FYROM’s constitution, internal legal procedures are completed after the ratification and the legal amendments have been printed in the Government Gazette. This, however, would require a signature from FYROM President Gjorge Ivanov. And this is where the problem lies. Ivanov refuses to sign off on the ratification of the Prespes deal. He has also said he will not sign off on the constitutional amendments. The second obstacle could perhaps be sidestepped if the amendments were to instead be signed by Parliament Speaker Talat Xhaferi, an ethnic Albanian. But the question of the ratification remains. Prime Minister Zoran Zaev deplores the purported violation of the constitution, but he does not have the required majority to refer the president to trial. Zaev will most likely wait for the presidential elections in April and hope that an Ivanov successor will sign the ratification of the agreement. Some Greek officials claim that it should be enough that FYROM has passed the constitutional amendments. 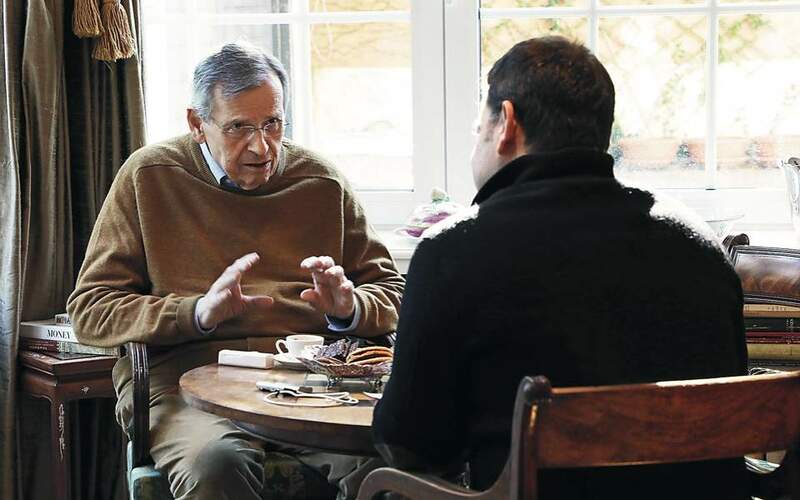 The rest, the argument goes, is internal FYROM affairs and should not be of our concern. The argument is completely misguided. The Prespes agreement itself gives us the right to ask for specific information on the completion of all internal legal procedures. Meanwhile, Ivanov has made public his refusal to sign the relevant documents. Most important, this is the Balkans. Putting a signature on an agreement does not necessarily mean that this agreement will be implemented. A recent example is the deal delineating maritime borders between Greece and Albania. Tirana was drawn into signing the deal with the carrot of NATO membership. Once Albania had joined the transatlantic alliance, Tirana requested that the deal be renegotiated on the grounds of a supreme court ruling. We risk seeing more of the same. Greece will ratify the Prespes deal and, most important, the NATO accession protocol. Officials in Skopje may then claim to have stumbled on some domestic problem and seek to reinterpret the agreement. We have seen this before. 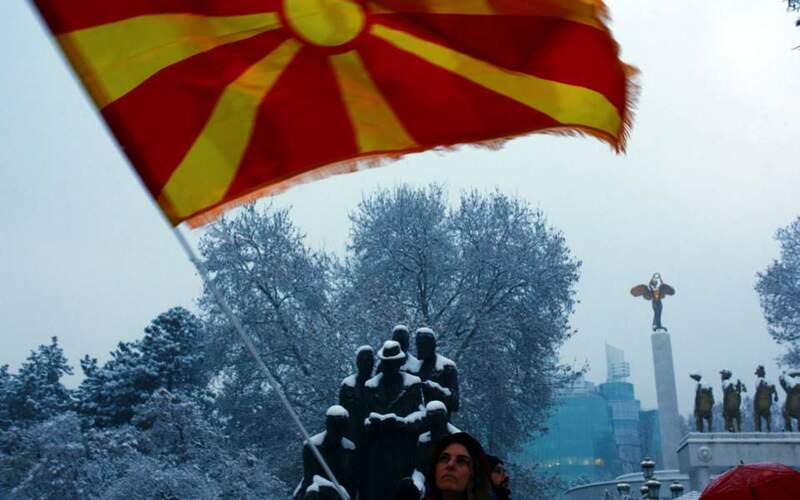 The eight deputies of FYROM’s main opposition party, the nationalist VMRO-DPMNE, who backed the constitutional changes, demanded that these take effect after Greece has ratified both the Prespes accord and the NATO accession protocol. Athens did not protest the unilateral modification of the agreement. The eight MPs were emboldened by their previous success and are now asking that the constitutional amendments and the new name take effect after FYROM’s European Union membership deal has been ratified.